Temperatures expected to be above normal for December, with about normal precipitation. Temperatures in Madras averaged near normal during the month of November, according to preliminary data received by the National Weather Service in Pendleton. The average temperature was 38.1 degrees, which was 0.2 degrees below normal. High temperatures averaged 51.3 degrees, which was 2.0 degrees above normal. The highest was 65 degrees on Nov. 2. Low temperatures averaged 24.9 degrees, which was 2.4 degrees below normal. The lowest was 9 degrees, on Nov. 13. There were 22 days with the low temperature below 32 degrees. 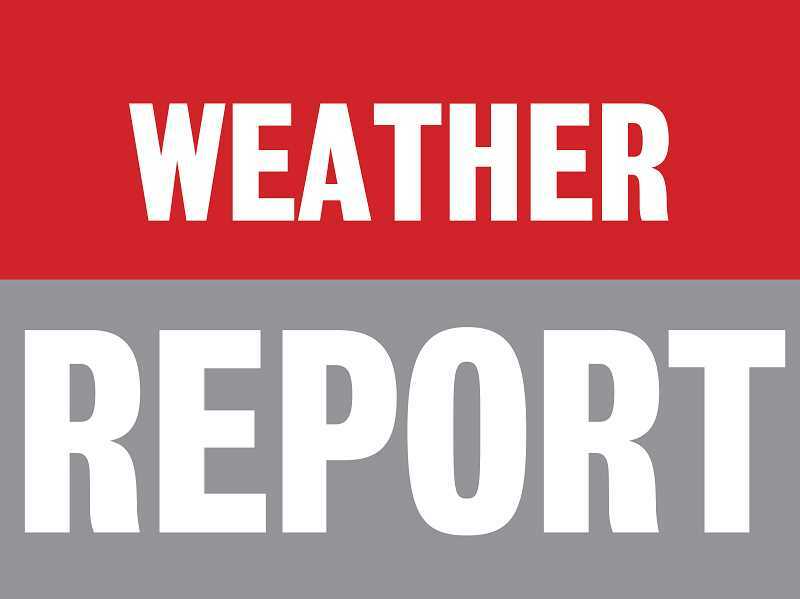 Precipitation totaled 0.39 inches during November, which was 0.86 inches below normal. Measurable precipitation — at least .01 inch — was received on seven days, with the heaviest, 0.17 inches, reported on the 28th. Precipitation this year has reached 5.73 inches, which is 3.34 inches below normal. Since October, the water-year precipitation at Madras has been 0.68 inches, which is 1.42 inches below normal. The outlook for December from the National Oceanic and Atmospheric Administration's Climate Prediction Center calls for above normal temperatures and near to above normal precipitation. Normal highs for Madras fall from 43.0 degrees at the start of December to 39.0 degrees at the end of December. Normal lows fall from 24.0 degrees to 22.0 degrees. The 30-year normal precipitation is 1.38 inches. The National Weather Service is an office of NOAA, an agency of the U.S. Commerce Department.